Yeah, I think every state has there "issues", hurricanes, tornadoes, earthquakes...then, here in Ohio, it's the snow. Sounds innocent enough, right. No, it's not. I went over an embankment of the freeway, a couple years ago, in a white out blizzard. When my car finally came to a stop, my nails were through the tips of my gloves. dijmart wrote: my nails were through the tips of my gloves. OMG! Yes, very similar. they were knit gloves, so my nails went through very easily when gripping the steering wheel for dear life! 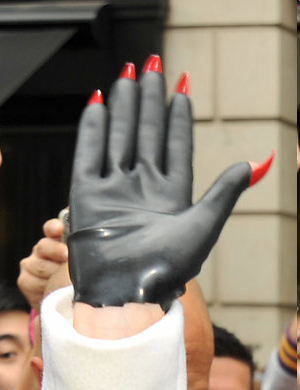 The black gloves or the vampiric nails ? Ok, not "very"..similar, just similar. No vampire nails or latex gloves. I had, at the time, long painted regular nails and black knit gloves.